In 2014 our client commissioned us to update the existing Sake, The Rocks venue. 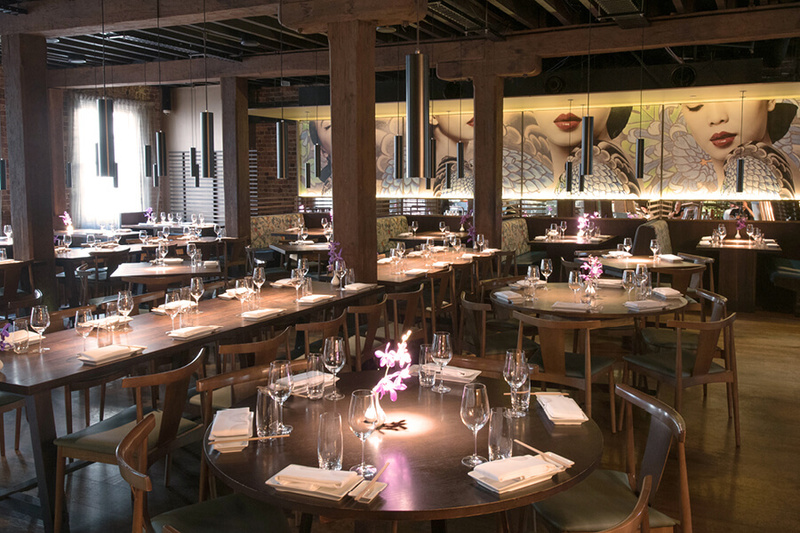 One of our ideas was the concept of a beautiful Modern Geisha emblazoned across the back wall. 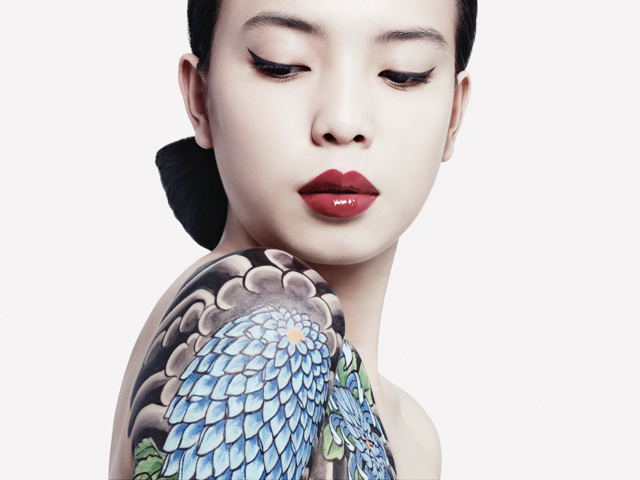 To create her, we commissioned a contemporary tattoo artist to paint her and famed fashion photographer, Paul Westlake, to photograph her together with make-up artist, Wayne Chick. As part of our update for Sake, The Rocks, we re-designed the lighting to the general dining so each table was focused with a plate illuminating pin spot. We created a new high top bar dining area completed with bespoke pendant light fittings. A central, illuminated bamboo sculpture was added. Re-upholstery in Kenzo (as seen above) and bespoke wall coverings rounded out our update. We also updated the private dining rooms and hostess stations, as well as some back of house design. Our Modern Geisha has been adopted across the Sake venues through to menu design, and our practice went on to fully design and document two of their new venues, Sake, Double Bay and Sake, Flinders Lane - both of which are extremely successful restaurants and bars and of which we are very proud. 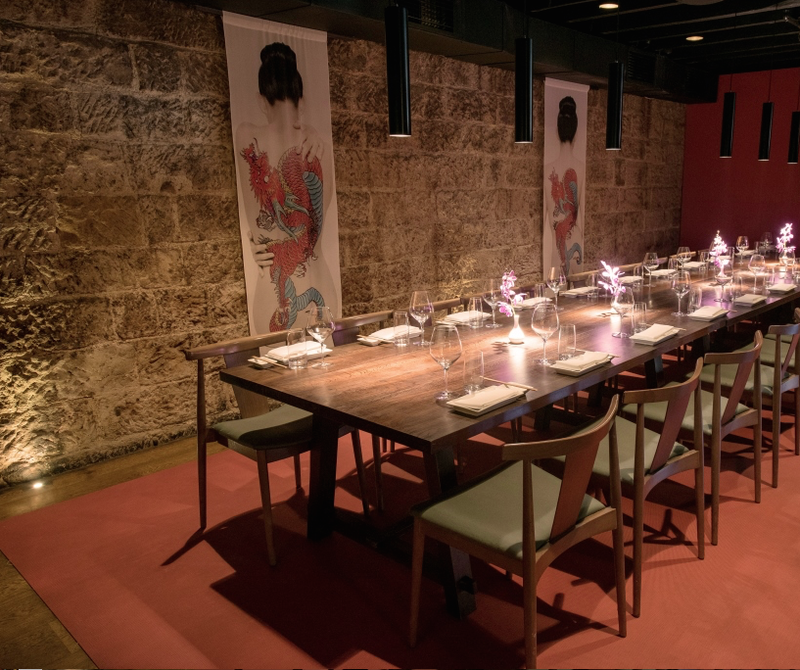 Both Sake, Double Bay and Sake, Flinders Lane have been shortlisted and recognised by leading Australian interior design awards.